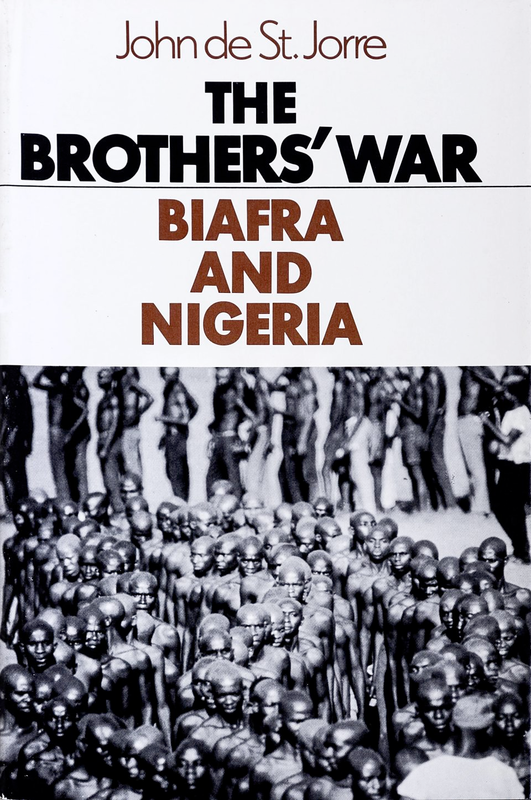 Christiana Ofiaeli remembers the Nigerian Biafran War. Photo by Chika Oduah. I was born in Nigeria in Port Harcourt, Rivers State now in 1947. The eighth of April. [My name is] Christiana Ofiaeli. When the war started, I was in England. I lived in England with my husband. I heard [that war had started] from the news in England. The television. The BBC One in the evening by ten o’clock. They call that program, I have forgotten it now. The newscaster that day is Robin Day. It was Panorama, Panorama. Yes, Panorama by Robin Day. He is the one. The news was terrible. They started it by ten o’clock in the evening. We had finished eating so me and my husband, we were seated in the sitting room watching it. My children were small that time and they had gone and sleep. 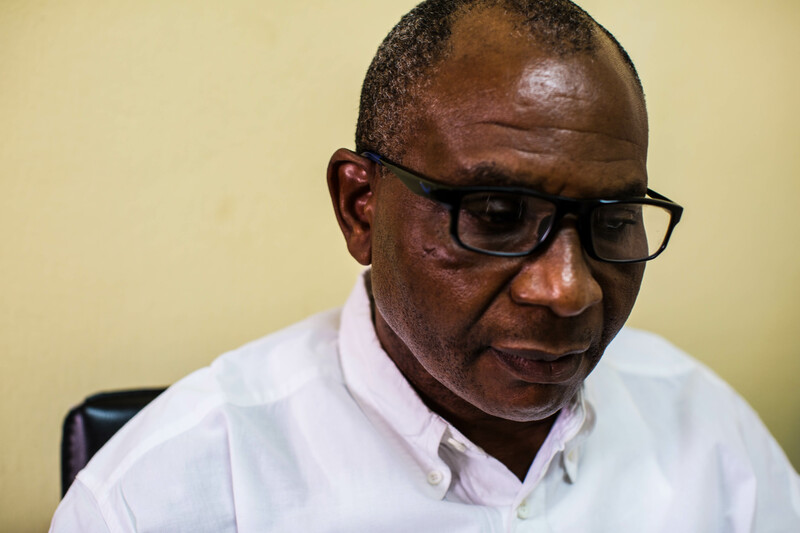 Then he showed us about Port Harcourt, Aba and many people. We saw many people, kwashiorkor, everything. We were crying. And before they started the program, the beat of the music sounds like goom, goom, goom, gooom, goom. 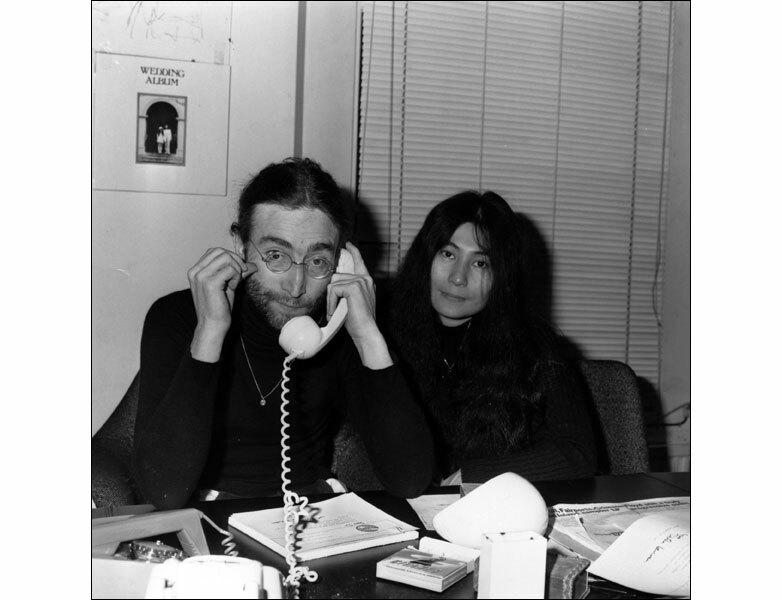 We cried a lot that day because we are phoning each other. Did you watch this? Did you watch that? They said yes. They are watching it. We saw so many things like when they took Port Harcourt, Aba and there was one boy they captured. He said that he is looking for his parents, a young boy from school and he was wearing his full school uniform. They captured him, the Nigerian army. They were asking him questions. He said he is looking for his parents. You know what they do to that boy? They tied that boy in one of the tree there and they shoot him dead. So many things happened. When the war is going on; we had heavy casualties in Ore. 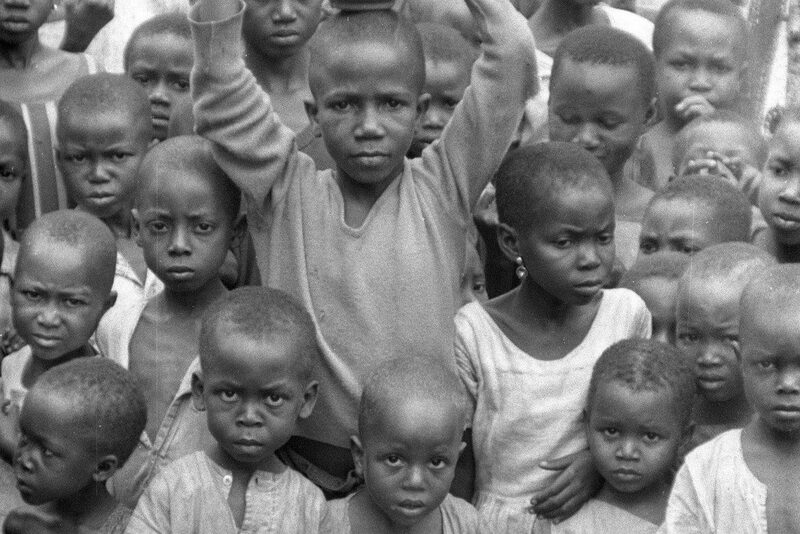 There were so many Biafrans who were dead. We had time and we watched it every night on Panorama or BBC News. We never stopped. Once we come home from school or from work, whatever. We watched the news. Anyway, my husband is at that time a president of Biafran, all Biafrans abroad in Europe because he keep on receiving phone call from Germany, from there from there. President of Biafran union in England. He is the whole – both London, Manchester, all round England. Because he always receives a call from them. 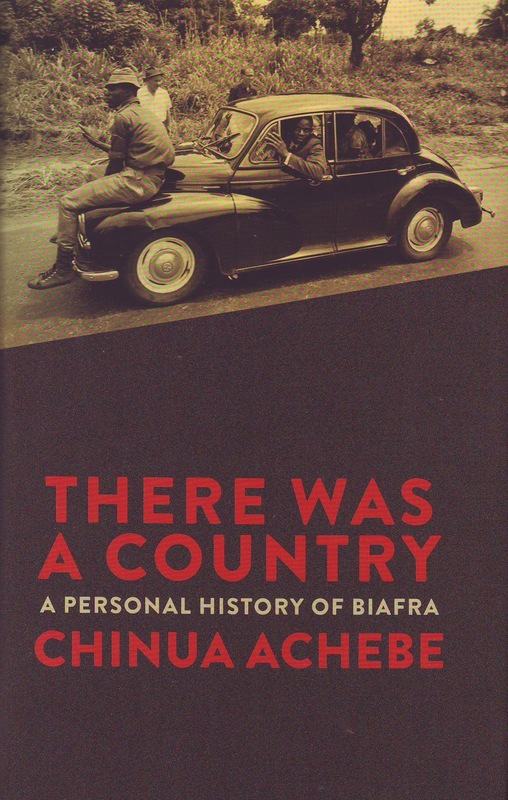 And he took calls from [Chukwuemeka] Ojukwu too, telling him what is going on in Biafra. Ways he can have some food, clothes and everything. We send it to the Biafrans in Biafra and books. The Biafran union was a meeting and we meet together. All the Igbos meet together, both Igbo and [people from] Cross River State and Rivers State. All of them, all the eastern region even Asaba and mid-Westerners. We will all meet. 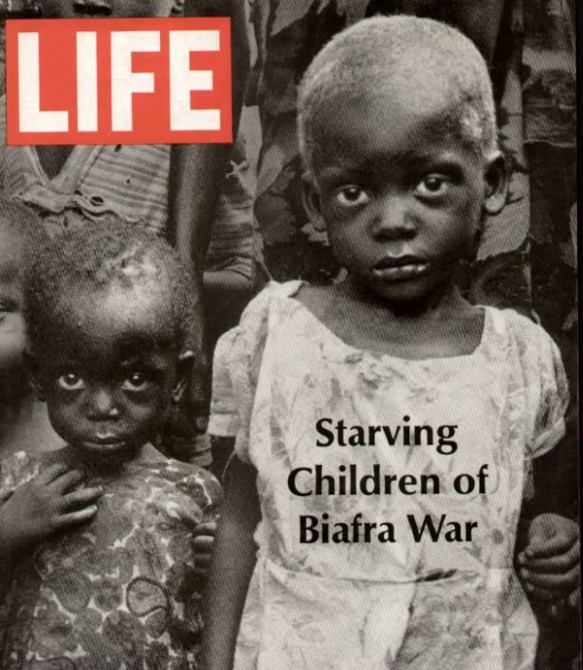 We were all Biafrans. I was one of the executive members. They asked me to be their president and I refused anyway. Because I am too young that time, very very young so I can’t do that. So I had to give it to one lady, and a Biafran, an Igbo woman. She is a lawyer so I let her take it. I was still very young, I cannot go with them. So I am one of the executives and we meet together like a meeting. So we meet together. Sometimes we will clash with Yoruba people but we don’t see Hausa people. That is what I would not, I can’t understand that time. It is only Yoruba. We always clashed with Yoruba people. When we are having meeting they will come there to come and watch and listen to what we are saying and discussing. And we get annoyed so we, they will start fighting each other. We held our meetings in the town hall in Manchester because we lived in Manchester. I and my husband, we lived in Manchester. Igbos had the heart. They don’t like people to interfere in what they are doing. They warned them not to come there again. They asked my husband to be a president because he cares a lot. We did demonstration at the City Centre in those days. We wanted the government to listen to us and support us but that time, this British people are very bad. They are very wicked. Their prime minister that time is called Wilson, very wicked man. He sent weapons to Nigerians. They supported Nigeria one hundred percent. I am telling you the truth. Sometimes, we heard that some French machinery, they support us. We heard Haiti and Ivory Coast. Sometimes they mentioned Israel, which other country is that? Anyway, I can’t remember all of them. That is what we sang when I was in England in our demonstrations in the City Centre. Some white people supported us. Most of the students, Owens Park students, they support Biafra that time, in those days. Yes, Owens Park is at Manchester University. The campus, we call it Owens Park, which is the university campus. That campus belongs to Manchester University. So some of them supported Biafrans. I, we were marching. We had a bag, with a Biafran flag and the tie, Biafran tie and we have so many things we were wearing that day. What else will I say? Well we were tying our wrappers as Igbo women. We start in the morning by eight o’clock in the morning and finish by two o’clock at City Centre, Piccadilly in Manchester. Piccadilly, Albert Square, that is where we are. We are marching, singing, shouting “We are Biafra fighting for our freedom, with Ojukwu leader, we shall conquer.” That is what we were singing. Everyone was singing that song. Well, my mom was in Nigeria. We can’t communicate with them because there is no way and ehm, until the war ended. If I can, my father died during the war in 1970. My mother survived it My junior brother survived it and my senior brother survived the war. One of my brothers died during the war. He was shot in the hospital. He was one of the Aba 7 or what do you call it – he is a footballer. He was a footballer and goalkeeper. He joined the Biafran army. He was shot then he was taken to the hospital. Then he was admitted there according to what I was told when I came back from England. So one of his friends survived it, his best friend. He is the one who told me all about what happened to my brother. He said they struck him in the bed. They came there. One Biafran army officer came inside the hospital and started shooting them saying, “Why are you here? Come and go to the war front!” he started shooting all of them, Shooting the injured ones that were admitted in the hospital. I don’t know which hospital. I was not there. He is the one who told me and my mother. He didn’t tell me the name of the hospital. It was in Biafra, probably Awka, maybe Awka. Because I heard that my father was admitted in Awka hospital. My father died. He is a policeman. My father was a policeman. He was an Inspector of Police. He died in those days. My mom survived. My senior brother said that he buried my father in Awka but I don’t know the place. He himself don’t know where the burial ground is. But he said he buried him here in Awka. But my mother saw it. Even my mother went there as well that that is where they buried him in Awka. But till today now I don’t know where. We have done everything, burial all that. It’s according to them. I wasn’t there when they were doing all those things. Many people, like my husband’s brother, died during the war. My husband told me [when he would have conversations] with Ojukwu.